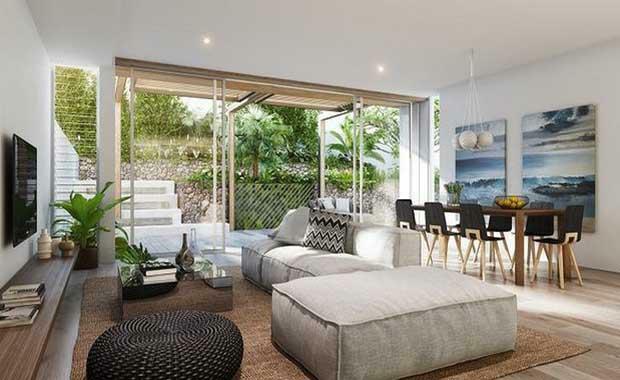 Homes close to coastal beaches in the east have become popular amongst home buyers signalling a new trend of beachside living. The area also offers many harbourside beaches and an upcoming boutique development which will be close to a popular harbour swimming location. Located in Double Bay, the Embassy at Redleaf will offer 14 residences and will be within walking distance of the Murray Rose pool, known to locals as the Redleaf pool. Richardson & Wrench told The Herald Sun that Redleaf pool is a definite drawcard. He said the upcoming development has numerous appealing aspects of the area’s older properties in addition to its modern design. “They are big apartments with high ceilings, elegant and sophisticated but it is a relaxed elegance,” he said. The decision to include only 14 residences will echo the smaller size properties which dominate the area such as seven two-bedroom apartments and five three-bedroom apartments. Mr Dunn said the variety of residences on offer appealed to a diverse range of home buyers who were present at the first weekend of open inspections. “The garden apartments are attractive to families with children and pet owners,” he said. Customised colour schemes and finishes will be allowed which adds to the appeal for potential buyers.